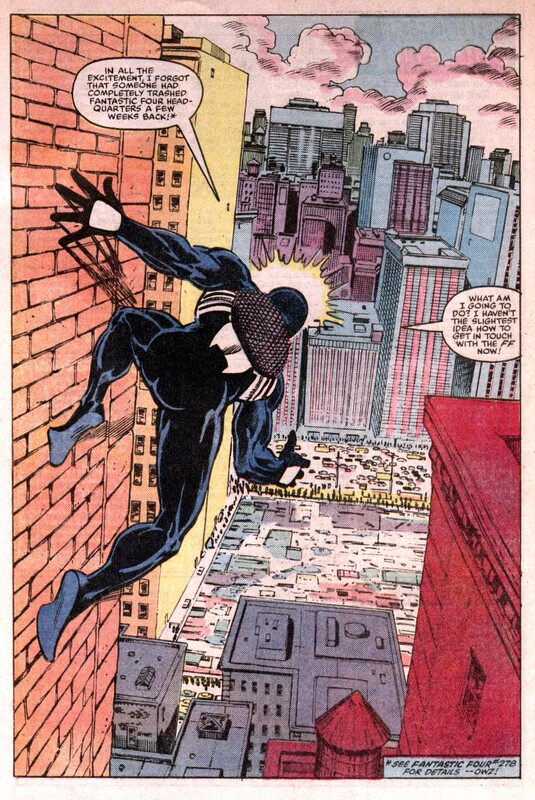 Back Issue Ben's been covering the severely underrated Tom DeFalco and Ron Frenz Amazing Spider-Man run, which, while not critically acclaimed these days, left a lot of permanent marks on the history of your favorite wall-crawler not named Gwen Stacy. But one thing that struck me while putting his posts together is the way 80s comics used to acknowledge each other's continuity. Before the Big Event became a staple, the way a company would give an illusion of a larger universe is to have the characters drift in and out of each other's books, much like how in real life, you and your friends drift in an out of each other's stories. Marvel was especially good at coordinating such incidences, partly because it was built into their DNA—Stan Lee and Jack Kirby and Steve Ditko had the Fantastic Four meeting the Hulk and guest-starring in Spider-Man, for instance, fairly casually, while DC books were looser, with the individual books going about their own business until it was time to bring the characters together in a team book like Justice League of America—and partly because Marvel's main characters were all pretty much in New York City. Ben didn't really highlight the instances in his retrospectives so much, so I'll call 'em out here as highlights. In Amazing Spider-Man #277, in a narrative interlude to give Peter Parker a break from fighting the Hobgoblin, DeFalco and Frenz have Peter visiting a broken down Matt Murdock (that's Daredevil, for the five of you who didn't watch the excellent Netflix show), who's having his life torn apart by Wilson Fisk, the Kingpin of Crime. Peter then visits the Kingpin afterwards to threaten him, not really getting anywhere. 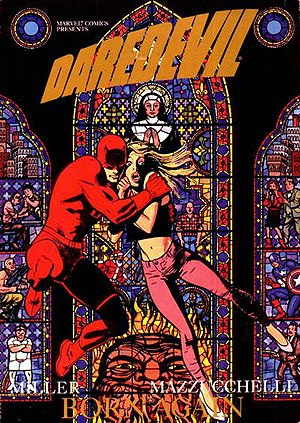 This is all in reference to the now-legendary "Born Again" storyline in Daredevil, by Frank Miller and David Mazzucchelli, one of the most well-regarded superhero stories of all time. Spider-Man's interlude here, in his own title, serves several purposes. First, it shows that yes, these superheroes are in fact a part of a larger universe, and yes, logically speaking, a superhero can reach out to another in a time of need. Second, it does provide an automatic "out" (weak as it is, but that's just something you take with these shared universes) for Spider-Man to not get involved, thus leaving Daredevil's story independent and overall unaffected — "Born Again" is enriched by this interlude, as is the feeling of the Marvel Universe as a cohesive whole, but nothing is taken away if you don't know of this issue's existence. Third, it plants seeds for a possible plot down the line between Kingpin and Spider-Man. Fourth, it's a good plug for Daredevil's book! Side note #1: the Kingpin moving from third-class Spider-Man mob boss villain to first-class Daredevil villain was a stroke of genius. What other "villain transplants" can you think of that were successful? Which ones didn't pan out so well? And which ones haven't happened yet, but you'd really like to see? I kinda wanna see Poison Ivy as a Wonder Woman villain. Maintaining individual narrative integrity on each title while at the same time creating the feeling of a larger universe does, when viewed as a whole, make the foundations of the universe look spindly at times, such as when Spider-Man is fighting Firelord in Amazing Spider-Man #269-270, and Peter, hopelessly outmatched, tries to find the Fantastic Four, only to remember that they're off-world. This wouldn't be so glaring (and in this case, they actually were off-world at the time in their own book) if the Fantastic Four didn't happen to be off-world just about every time he was outmatched and needed their help. Spider-Man's other "hopelessly outmatched" story, for example, where he fights the Juggernaut, has him trying to call the Fantastic Four, the Avengers, and the X-Men, none of whom are in New York City at the time. I don't know if they actually were or weren't in their own titles, but if they weren't, I'm going to chalk that up to editorial coordination and not just a stroke of blind luck. But these are things you just have to accept if you're going to buy into this whole "shared universe" thing, much like, yeah, you just have to accept that Iron Man and Thor aren't showing up in Winter Soldier, because then it would take away from Captain America being the agent of resolution for the narrative. That's okay, and it does highlight the times when the other characters who need to be there actually do show up. At the end of the Firelord story, the Avengers show up to take Firelord away. And in Avengers #258, which follows that issue of Amazing Spider-Man, we pick up right where we left off. Here's the cover. And here's part of the scene that comes in the middle of the comic, when the Avengers get back to New York City. The Black Knight is not easily accustomed to change. Spider-Man's story, in the sense that he is the protagonist, as it regards Firelord, is over, and Firelord then becomes the Avengers' problem, while Spider-Man goes about his own life. 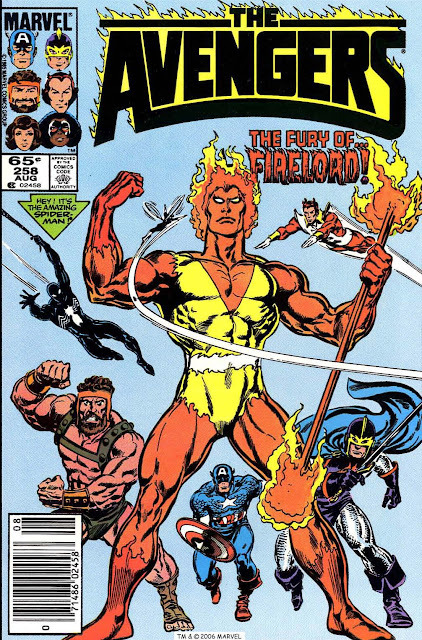 In this Avengers storyline, early on in Roger Stern and John Buscema's legendary run on the title (not the part that would become legendary), Hercules sets Firelord straight and the flame-headed herald of Galactus joins Earth's Mightiest Hero to fight against Nebula. That's it. Being beaten up by Spider-Man one week, fighting a space pirate with the Avengers the next. Side note #2: Can you think of a better superhero comics/pro wrestling analogy than Firelord to Kane? Firelord is a former herald of Galactus, with similar power levels to the Silver Surfer, and made his debut fighting Thor, but, since then, he gets beaten up all the time. Kane made his debut fighting the Undertaker, is basically the Undertaker with fire, but also gets beaten up all the time. It's like whenever they show up, it's because the writers want to build up a new character by having them beat Surfer/Taker, but they know it'd be ridiculous, so they take the incredibly beatable substitute. This sort of interlocking type of continuity was already in play since at least the 60s, but it was in the 80s when that interaction seemed to be at its most coordinated. 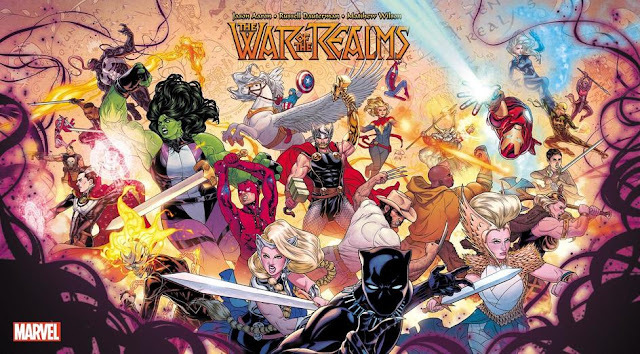 For me to say I'm nostalgic for it would be a lie—my prime comic book collecting/reading time was in the mid-90s, when they were beginning to move away from this type of thing (hell, for a time in the mid-90s, Marvel pretended like they had five different universes, complete with five different editors for each line, including the Spider-line, the Avengers line, the X-Men line, the "magic" line, and the cosmic line). Comics like Spider-Verse replicate the feeling a tad, with each title showing a different hero fighting a different part of the big battle, all forming a bigger whole, but those are limited to events and expected interactions. It's not quite the same thing as Peter Parker just randomly visiting Matt Murdock in the Spider-Man title, to see what's going on in the Daredevil title. There do seem to be more guest appearances now, but they still seem independent — a Thor appearance in Captain America may have very little reference at all to what's going on in her title. I like the 80s Marvel Method of random guest appearances and interactions, but I also acknowledge that it likely wouldn't work in today's market. Such a method derived so much utility from the interlocking schedules. Spider-Man visiting Daredevil to check out what was happening in "Born Again" doesn't really work if "Born Again" is over. In the 80s, you got your comics as they came out; missing them meant you might not be able to find a copy at all, so part of the fun was getting them on time. These days, with so many people waiting for collected editions, or with back issues so readily available either via comic shops or the oh-so-very-convenient digital methods, the comic book reading audience is not guaranteed to be reading on a weekly basis. Even event comics, when they interact with regular series, tend to derail the regular series unless you've been reading the event comic. Loki: Agent of Asgard is a great example of this — it started out strong and with a lot of momentum, but its continuous ties to Axis and Secret Wars have derailed the title, perhaps not for those who have been keeping up with the title (and with Axis and Secret Wars) as scheduled, but for those who have been buying the paperback collections. Because the collections don't come out in the same order as the single issues, the collections end up suffering because there is a feeling of not getting a full story, at times. As such, the 80s Marvel Method isn't really viable. But when I read an 80s comic and I see it interlocking with another 80s comic, I think it's fun. It bring back a sense of randomness and gives me a little mark-out moment. I don't think it's that big a deal, really, things not being done that way anymore, because I don't see how it works today, but it's a small thing that makes me smile. Maybe as a human being, I can see it as a reflection of how people interact and drift in and out of each other's stories. Maybe, just as a professional, I admire the coordination. Or maybe, just maybe, as a fan, I just think it's fun. I hope Marvel goes back to this type of continuity when this new Secret Wars shakes out. I remember when Asgard was directly above New York in Thor but in no other title. Sabertooth is good example of a villain transplant. He starts off as an Iron Fist villain, but achieves prominence when he becomes an X-villain. Sabertooth, of course! Good call on that one. Related to Side Note #2, I can't watch Guardians of the Galaxy and see Ronan without getting a huge Undertaker vibe. Interesting! I hear/see/feel the Undertaker every time I read Preacher and get to any scene with the Saint of Killers. I'm having a hard time with the phrase "underrated" when it comes to DeFalco's writing. DeFalco was on that book b/c he was the E-i-C. He gave himself a lot of plumb assignment solely to collect the ongoing residuals. And his writing was garbage. The direction of the books, and nearly all of the storylines, came from other writers or the editor (Jim Salicrup perhaps, possibly Archie Goodwin -- hard to recall now). Ron Frenz's art was strong, but DeFalco wrote solely in cliches and absolutely zero awareness of it. This was again proven with his work on his Spider-Girl title which was perhaps the most derivative piece of work Marvel's ever put out -- and that's saying something.